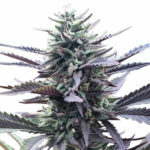 Super Silver Haze Medical Marijuana Seeds are a world famous strain, winner of countless awards and ‘expo’s as well as winning the High Times Cannabis Cup in 1997, 1998 and 1999. A true legend of a plant, containing 90% dominant Sativa and 10% Indica genes, producing some of the finest, sticky buds available. 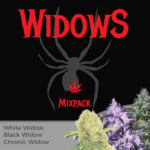 Created using a mix of Skunk, Northern Lights and a high quality Haze, these feminized, stable seeds produce female only plants with large running colas and multiple buds. Almost all indoor growers wish to grow unseeded buds, this requires the growing and flowering area to be totally free of any male plants and pollen. 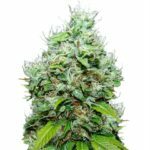 These Super Silver Haze feminized seeds contain no male genes or chromosomes, and are totally guaranteed to germinate, and produce only female Marijuana plants. Although predominantly a Sativa, Super Silver Haze Medical Marijuana seeds display many properties and characteristics associated with Indica strains. The reduced height of between 70 cm – 100 cm makes them a perfect choice for both Screen-of-Green and Sea-of-Green growing techniques, while their easy to grow nature allows for minor feeding schedule mistakes, Ph level inaccuracies, and other errors that new and inexperienced growers often make. Super Silver Haze is well-known for its large, resin coated buds that produce an almost silver coloring. Mold resistant, they can be grown both indoors, in a purpose built area, or outside during the Spring and Summer months, where the longer, natural reduction in daylight hours will produce far larger plants, with bigger buds and heavier yields. 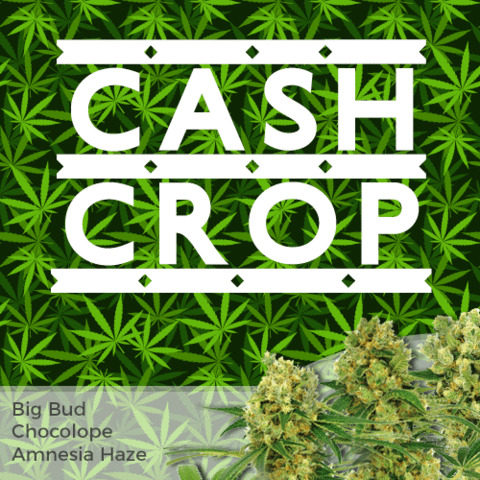 By utilizing good growing methods and techniques, Super Silver Haze can be a real ‘cash-cropper’, producing yields averaging 550 grams of the finest Sativa buds per square meter in as little as 65 days. 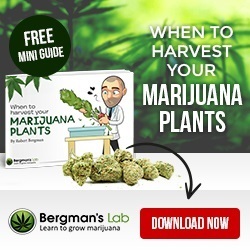 If you would like to learn more about increasing the yield and quality of your plants, download the free E-book at the top of the page. Packed full of information to help you get the very best from your seeds and plants, it explains systems and methods such as super-cropping, topping and hydroponic methods to give you the best information possible. Super Silver Haze Marijuana has a sweet, fruity aroma with an earthy-pine aroma. Beautiful, glistening buds provide excellent ‘bag-appeal’ to both recreational and medical users, while the light, fragrant smoke has a pleasant, enjoyable taste. Allowing the plants to fully mature for the complete 65 days in flower, ensures maximum flavor and resin production. The dominant Sativa genetics contained in these Super Silver Haze Medical Marijuana seeds produce a fast, hard-hitting cerebral high that leaves you feeling very relaxed, happy and euphoric. A very energizing, clear buzz that’s perfect for daytime use. The increased THC levels of 18% combined with a medium CBD content induces a very uplifting effect, while lacking the heavy body-stone that some hybrid strains can induce. Super Silver Haze Marijuana can be enjoyed by both recreational and medical users. Proven to reduce stress and depression, the deep Indica qualities can also assist in reducing pain and fatigue as well as increasing the appetite. Other medical applications include helping with anxiety, migraines, PTSD, Bipolar Disorder and ADD/ADHD. 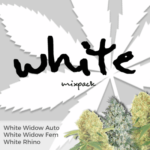 You can buy Super Silver Haze Medical Marijuana seeds in packs of 3, 5 and 10 feminized seeds. World-wide postage and super-stealth packaging are included in the price, and delivery is guaranteed. 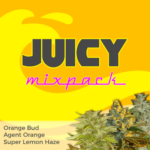 To find out more about buying Super Silver Haze Medical Marijuana seeds online, click below.